If you arrived at the Taj Mahal in India before the sun rises on the day of the summer solstice (which usually occurs June 21), and walked up to the north-central portion of the garden where two pathways intersect with the waterway, and if you could step into that waterway and turn your gaze toward a pavilion to the northeast — you would see the sun rise directly over it. If you could stay in that spot, in the waterway, for the entire day, the sun would appear to move behind you and then set in alignment with another pavilion, to the northwest. 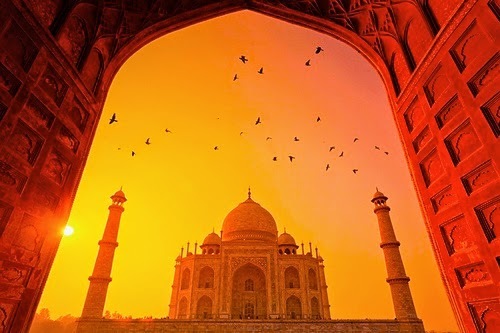 The mausoleum and minarets of the Taj Mahal are located between those two pavilions, and the rising and setting sun would appear to frame them. 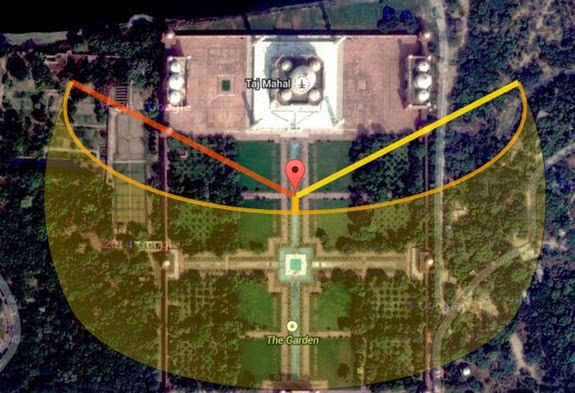 Although standing in the waterway is impractical (and not allowed), the dawn and dusk would be sights to behold, and these alignments are just two among several that a physics researcher recently discovered between the solstice sun and the waterways, pavilions and pathways in the gardens of the Taj Mahal. The Taj Mahal is a mausoleum built by Mughal Dynasty emperor Shah Jahan (who lived from 1592 to 1666) for his favorite wife Mumtaz Mahal (who lived 1592-1631). Her name meant "the Chosen one of the Palace." The summer solstice has more hours of daylight than any other day of the year, and is when the sun appears at its highest point in the sky. The winter solstice (which usually occurs Dec. 21) is the shortest day of the year, and is when the sun appears at its lowest point in the sky. Amelia Carolina Sparavigna, a physics professor at the Polytechnic University of Turin in Italy, reported the alignments in an article published recently in the journal Philica. The Mughal dynasty built the gardens in the "charbagh" style, a system developed in Persia that involves dividing a garden into four sections, Sparavigna noted in her article. "It is well known that the Mughal gardens were created with the symbolic meaning of Gardens of Eden, with the four main canals flowing from a central spring to the four corners of the world," she wrote. Her research shows that solstice alignments can be found not only in the Taj Mahal gardens, but also in gardens built through time by different Mughal emperors. 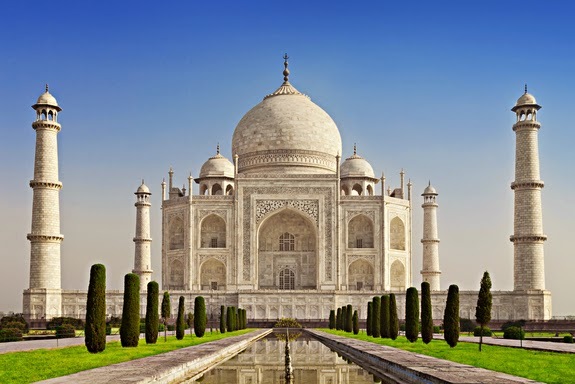 Although the alignments at the Taj Mahal likely had symbolic meanings, it's also possible that the architects of the structure used the solstice sun to help build the Taj Mahal, which is precisely oriented along a north-south axis. "In fact, architects have six main directions: two are joining cardinal points (north-south, east-west) and four are those given by sunrise and sunset on summer and winter solstices,"Sparavignawrote in her paper. 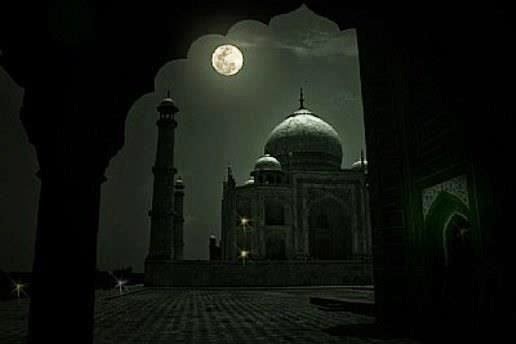 Sparavigna told Live Science in an email that the alignments seen at the Taj Mahal, compared with solar alignments seen at other gardens, are particularly precise. In "the case of Taj Mahal, these gardens, which are huge, are perfect." In December 2014, she published another paper reporting her discovery of solstice alignments at a Roman fort in northern England.